Five men entered the jungle in search of a savage tribe...and never returned. In January 1956, a tragic story flooded headlines around the world. 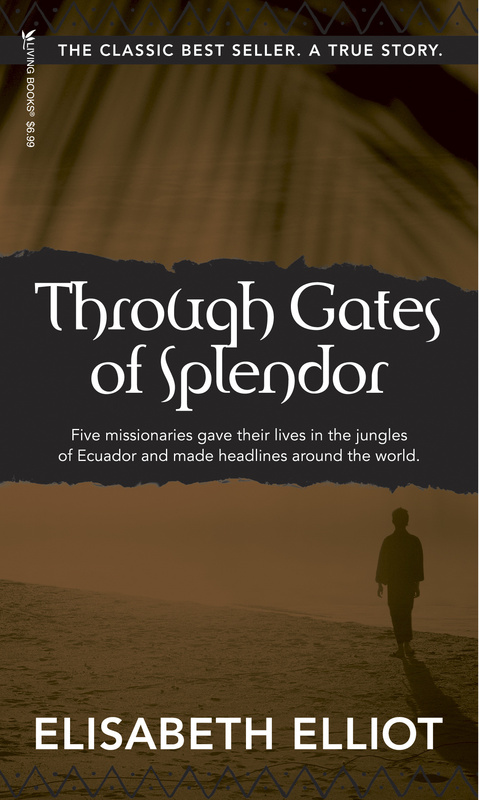 Five men, spurred by a passion to share the good news of Jesus Christ, ventured deep into the jungles of Ecuador. Their goal: to make contract with an isolated tribe whose previous response to the outside world had been to attack all strangers. At an greed-upon time, their five young wives sat by their radios, waiting for a message that never came... Through Gates of Splendor, the story of Nate Saint, Roger Youderian, Ed McCully, Pete Fleming, and Jim Elliot, was first recorded in 1956 by Jim's widow, Elisabeth. Decades later, its story of unconditional love and complete obedience to God still inspires new readers. This edition contains subsequent developments in the lives of the families and the Waodani tribe. Through Gates Of Splendor by Elisabeth Elliot was published by Tyndale House Publishers in September 1981 and is our 17757th best seller. The ISBN for Through Gates Of Splendor is 9780842371513. Be the first to review Through Gates Of Splendor! Got a question? No problem! Just click here to ask us about Through Gates Of Splendor.